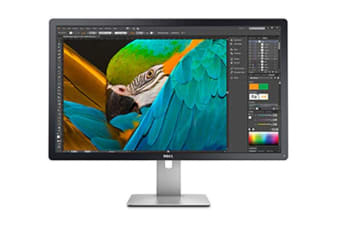 See your work in beautiful Ultra HD 4K resolution on the largest Dell UltraSharp monitor with PremierColor. For exceptional colour accuracy and professional standards, look no further than the Dell U-Series 32”. Give your work the attention to detail that it deserves with the Dell 32” UP3216Q monitor. With a generous 31.5” screen size and ultra-wide viewing angle, addressing those fine details that make your work great has never been easier. Take your work to the next level.